Item Number: 199-20 17812 Actual Weight: 1 lb. 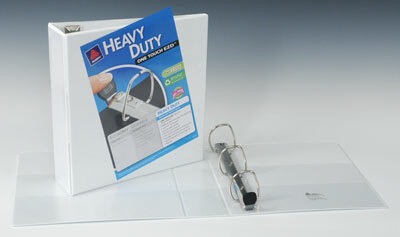 Heavy-duty binder has 4 interior pockets to organize paper. One Touch EZD locking rings open and close easily to help keep papers secure. Rings are back-mounted allowing pages to lie flat.